Even though we've been talking about it for months, football is officially back! Today was the first day of Patriots training camp, and there are definitely some interesting storylines to take a look at. We'll break them all down and talk about the possible effects here. 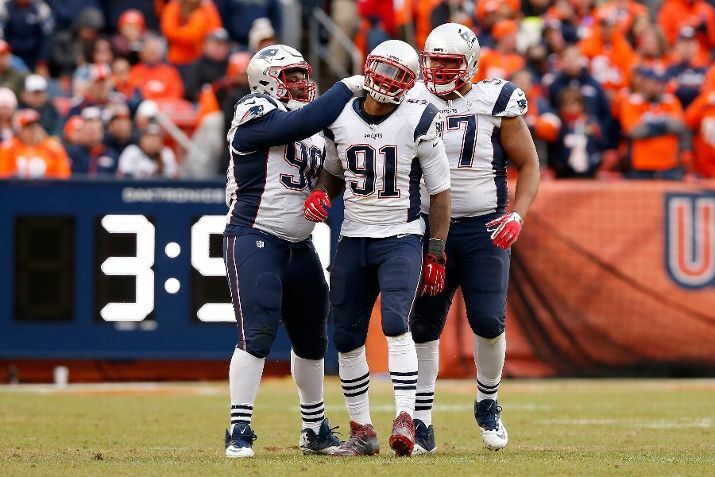 One of the biggest storylines today was Jamie Collins' absence from practice. The fourth-year linebacker reported to camp on Wednesday, but was a no-show at practice earlier today. Nobody knows why he was absent, but hopefully it's not a major injury or off-field issue. 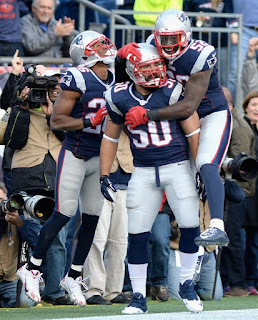 If it is insignificant, it would be awesome news for the Pats. 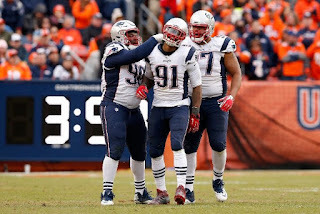 Collins, along with Dont'a Hightower, is one of the best young linebackers in the NFL, and excels in all three phases of the game--stuffing the run, rushing the passer, and covering tight ends and wide receivers. In other news from practice, Tom Brady and Jimmy Garoppolo split first-team reps during the practice, and Garoppolo drew one of the biggest media crowds at the conclusion of the day's workout. While it's definitely understandable that he's drawing media attention and getting some starting reps, it is a bit surprising that the two QBs are splitting them equally. While Garoppolo will be tasked with leading the team through the first four weeks, Brady is still the starter from week 5 on, and he won't be able to communicate with the team once the regular season begins. 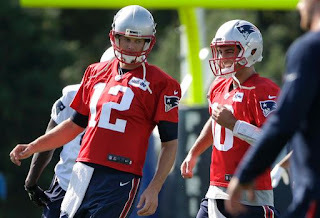 I thought that he would taken a little more of the first-team reps to gain familiarity with the new offensive additions--it definitely wouldn't be good for the team to have a rusty or unfamiliar Brady return after his suspension. Finally, Rob Ninkovich was back working with the defensive ends after spending time with the linebackers during minicamp and OTAs. While it's an expected switch, considering he's spent practically his entire NFL and Patriots career at DE, it does put to rest rumors about Ninkovich switching to a stand-up OLB and leaving a starting DE job to Trey Flowers or Shea McClellin. While it was only the first day, the opening of Patriots training camp was certainly chock-full of new storylines and interesting developments. As camp continues, we'll keep up with all the new developments and report on all the latest Patriots news. Stay tuned.